First off thanks for taking the time to do this interview, lets start with an introduction: Where does the name Themeaseven come from and what crew do you rep? Okay! My name is Themeaseven (Meas7) and i have been writing since end of 2005. I’m from Jakarta, Indonesia. Meas 7 come from the meaning of each letter : M (Maximum), E (Extraordinary, A (Awesome), S (Simple) my name is like this to keep a low profile, because graffiti is just for fun. Also “7” means people can see my work in 7 countries which is USA, Australia, England, Brazil, France, Germany, and Indonesia. 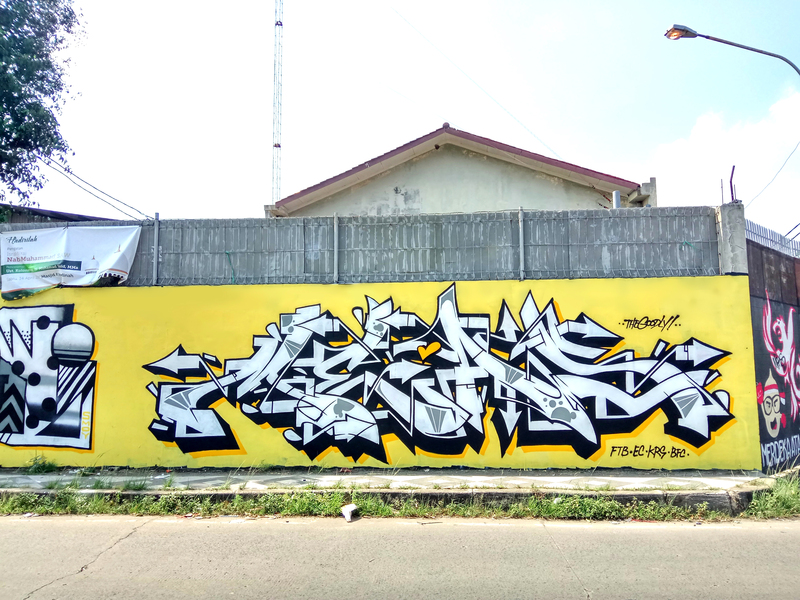 My graffiti crews from Indonesia: Fill The Blank (FTB), Bad Face Crowter (BFC), East Cartel (EC) and i have a crew from Los Angeles it called KRS. How important is commission work to what you do? Do you think there is a viable market for graffiti artists and writers that want to sell prints? In my opinion commission work is important because that’s one of the ways to appreciate the writers dedication to graffiti over the years. It means people loves their work because graffiti is a life style and the rest of the writers want to get money from graffiti so that is a choice,you just need to struggle and work hard to get what you want. 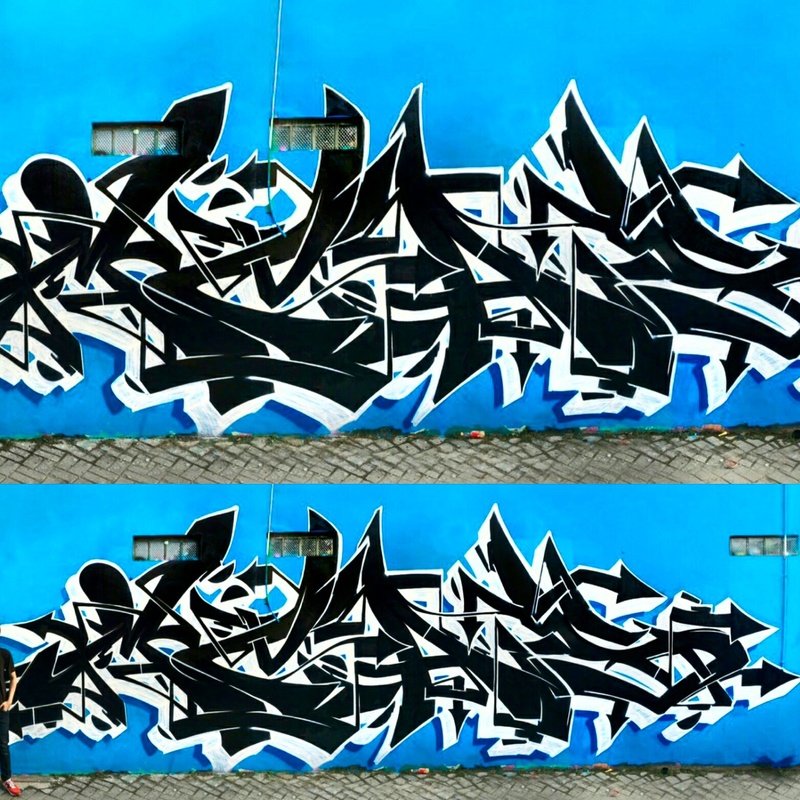 -My point of view is that graffiti is a segmented field, just only a certain people which understand how graffiti works will want to buy your work, but it also depends on the graffiti writers who bring their styles on the market. If they want to sell prints, I think Instagram is best way to sell their work. Are you able to make a part time or full time income from this? what do you do for a living? Do you do commission walls as well? I do a commission work in graffiti as a part time from Instagram and Email. My full time is work as a designer and illustrator for a Company in Jakarta, Indonesia. And sometimes I do a commission wall on the weekend but not too often mostly I do a commission in digital work. Your work is really beautiful and what I like about your work is that it looks like to me you have a traditional art education I assume so anyway. Did you go to school for art or what was your major? 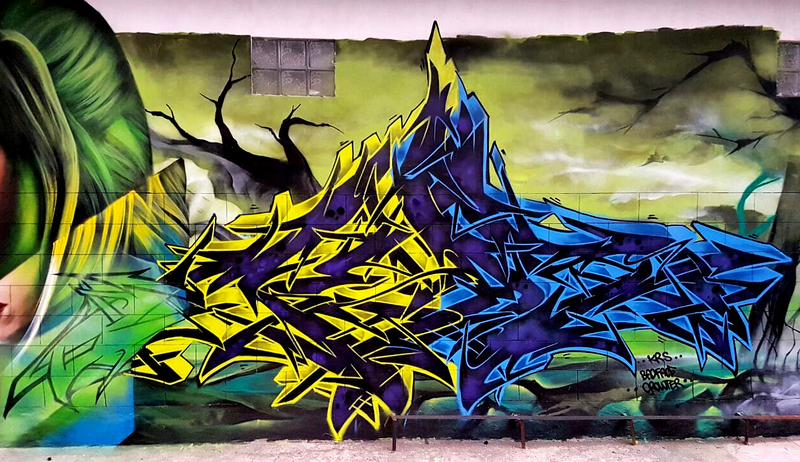 Was graffiti always your passion or did it grow out of a love for art in general? Thank you! I really appreciate it. Yeah i love drawing and I started drawing when I was 5 years old and I knew about graffiti since I was about 13 years old. I’ve been to college and graduated at Indonesian Institute of The Arts Yogyakarta, Indonesia. When I was in college I took a major in Design. When I discovered graffiti 13 years ago, graffiti became one of the reason why I really enjoying this life. Graffiti means a lot to me, I learn many things from graffiti such as knowledge about graffiti, new friends, love the people, respect, attitude, family, thoughts, always learning something new and sharing the experience with other writers and much more. There is a post you have titled “Feel the Bomb”, looking at it blew me away because you have so much control over your colors. where most people putting that many color variations on a piece would make it look muddy instead you transition through a lot of different colors seamlessly. I’m curious if you can explain your process in this piece? 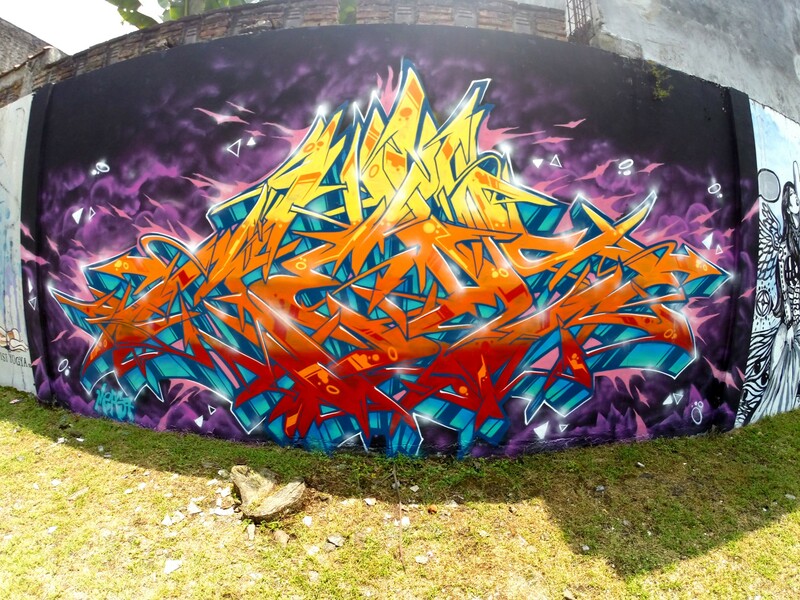 Actually that’s a collaboration with my crewmate in East Cartel. So we had an idea to draw an initial of all the nick names of each East Cartel members, the purpose is just for a representation of the of East Cartel to the public. How much time do you spend in your black book versus on the streets painting and do you think you spend less or more time in your blackbook experimenting as you get further in your career? A lot of time, I can’t count how much time I’ve spent practicing and exploring the letter style in my Blackbook. I think I’ve always used my black book as much as I can. For beginner writers what do you think is the fundamental skill that one should focus on? Any exercises or practices you can recommend? 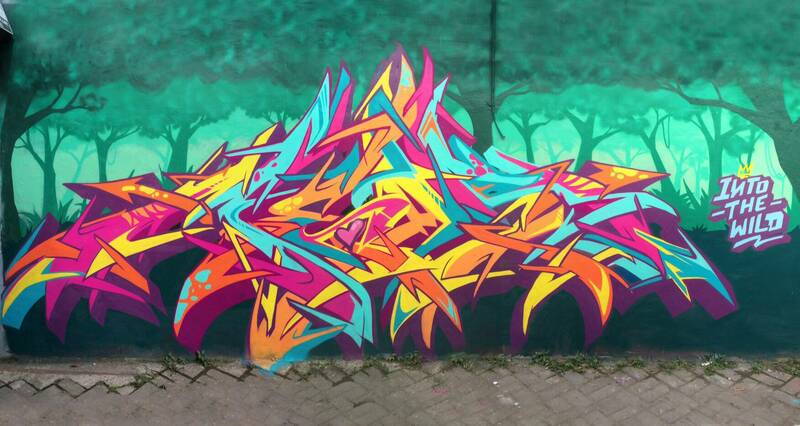 For the beginner i think for the fundamental skill in graffiti there are 3 things you need to learn. 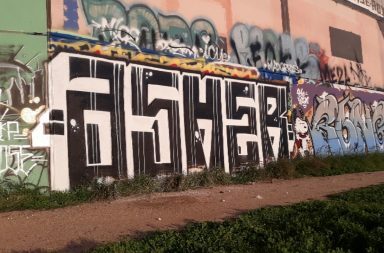 First, should be to practice on the wall to make a horizontal, vertical, and diagonal lines until your hand and fingers are comfortable to hold an aerosol/cans. Second one, Tagging is a foundation, you also should learn more about tagging on the paper using a maker, when you master tagging than it should be easy if you want to explore the letters to move to the next step. 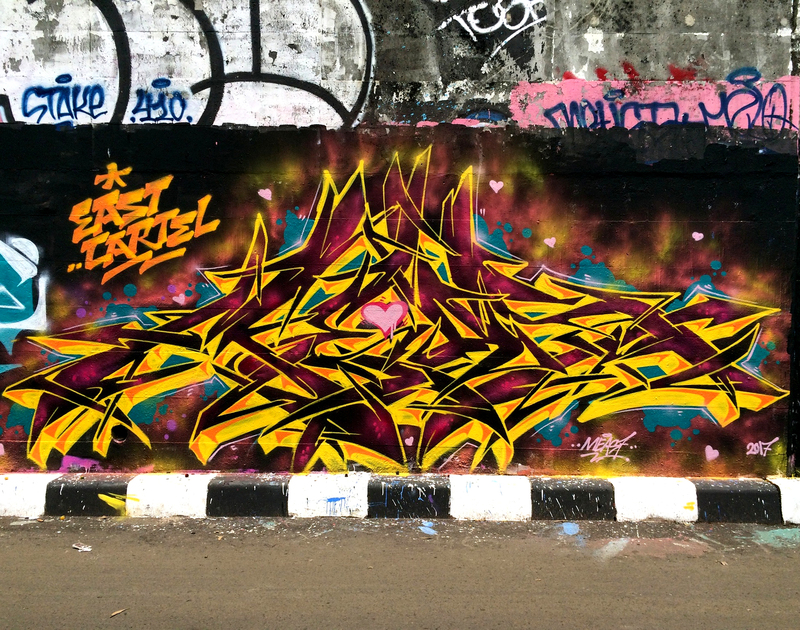 And the last one is never stop learning, if you really love graffiti. I don’t know exactly what kind the music is when I paint because I enjoy any music genre which is good in my ears. But to be specific, i really love music such as Hip-hop 90’s, Indie Folk Music, Hip-hop Jazz, and many more. The artists i really love John Mayer, Oasis, Kendrick Lamar and Banda Neira (Local artist in my country). Who or what is inspiring you today? 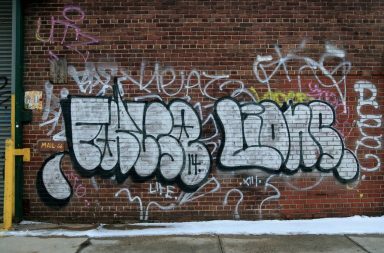 When you are trying to expand your inspiration do you look at other graffiti writers or do you try to avoid that so you don’t look like them? There are many things that inspire me such as parents, friends, pictures, foods, streets and everyone I know, all of this is inspiring to me. I also learn everything which happen in my every day life. 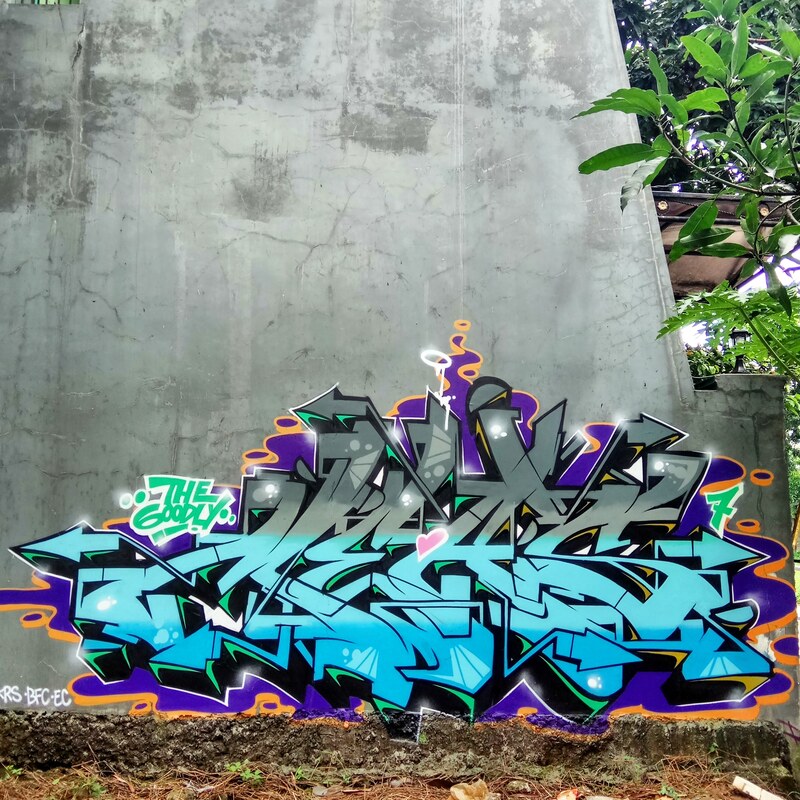 I think i can’t avoid them (graffiti writers), because graffiti connecting each other, we can learn something new, we can talk, we can discuss, we can paint together, we can do everything that make us happy. The inspiration could come from everywhere and I will always be thankful to God for what I’ve done until now. Where can people follow you and do you have any events or anything you would like to share? Any shoutouts? For the people who want to follow my work, you can find my work on Instagram: Themeaseven. And I would like to take the opportunity to say thank you to the people who love and appreciate my work on Instagram or on the streets when i paint on the wall, i hope my work can be an inspiration for the writers who want to start a career in graffiti. My messages is never stop learning, use graffiti to spread happiness and always respect each other. Thank you!